BEARS Quarterly Club Mtg/VE Session April 18th; NWS SKYWARN Training May 9th! | BEARS Welcomes You! This entry was posted in Club Programming, Emergency Prep, Training. Bookmark the permalink. 2 Responses to BEARS Quarterly Club Mtg/VE Session April 18th; NWS SKYWARN Training May 9th! I’m interested in the training. How can I sign up? Hi Michelle! Sorry for the delay. 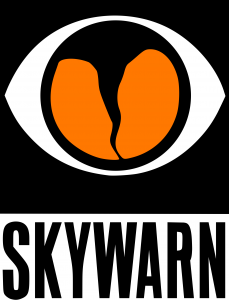 The SKYWARN session has been rescheduled for May 9th at 7pm…same location — ABC News HQ, 47 West 66th Street, Manhattan, in the cafeteria multimedia room. Just send an e-mail with the subject line BEARS SKYWARN session, to president@w2abc.org, and we’ll make sure you’re on the list. Thanks and 73 de KA2QPJ.